MacPaw is one of the biggest names in third-party applications for OSX, and their Mac Cleaner is one of the most widely used programs for Mac. MacPaw Hider 2 is a software program designed to encrypt files, to prevent others from seeing, using, or finding them on your computer. However, if you’re thinking of buying it, how does MacPaw Hider 2 hold up? Is it worth the money? And how does it compare to its competitors? We took the time to review Hider 2 to give you the answers. What is MacPaw Hider 2? MacPaw Hider 2 is an encryption program. The app allows you to ensure that any files you delete are completely gone, and cannot be recovered from your hard drive. Hider 2 also uses AES 255-bit encryption to hide files, which you can encrypt with a single Master Password. It competes with similar devices like Concealer, Espionage 3, and Data Guardian, which all offer similar services. While certainly not worthwhile for encrypting your photos, MacPaw Hider 2 may be a worthwhile investment even if you keep banking data on your computer. Anyone who works with sensitive files or information at work, keeps personal information (bank/credit card/passwords) on their computer, or any other type of sensitive files that you want to limit access to in the event of someone accessing your computer, losing your computer, or a hack. MacPaw Hider 2 offers a lot of advantages, mostly to non-expert computer users. Setup – Hider 2 walks you through setup in just a few minutes. All you have to do is set a password and set up a folder for your new, encrypted files. Interface – Hider 2 offers a very clean and simple interface that allows you to drag and drop anything you want into the application. 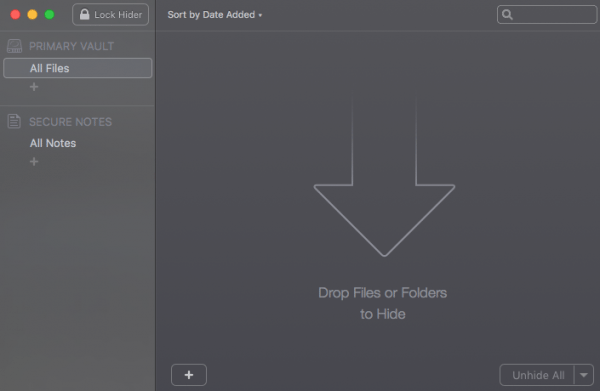 Search – You can easily search for files using Finder. Organization – Hider2 allows you to organize files based on date added, name, pathway, and other specifications. 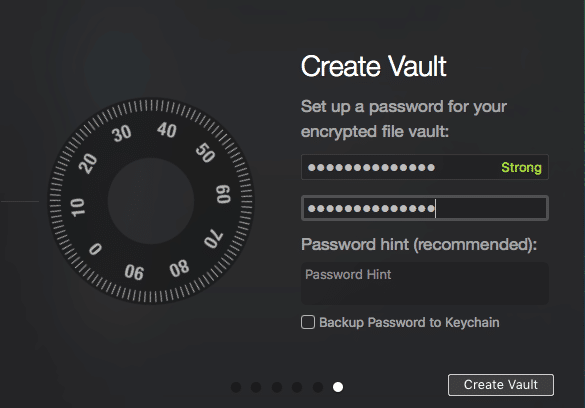 Vaults – You can organize encrypted files into different vaults to separate different files such as work and home data. Master Password – Every file you encrypt is locked with your Master Password. You cannot open it or Hider 2 without this password. Speed– Encrypting small files like texts and photos takes a few seconds, however, longer files can take considerably more time. Hider 2 is one of the slowest programs we tested. Decryption takes longer, with an average of about twice the encryption time. 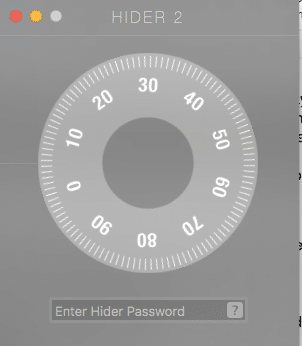 Notes – Hider 2 offers a built-in notes program, perfect for storing passwords and other secure information. Security – Hider 2 not only encrypts files but also hides them from your folders. You can adjust the visibility settings manually – but this does make it difficult to find your files once they are encrypted. However, with a complete tagging and search system, you can take a few steps while hiding your files and folders to ensure that you can search them easily. Hider 2 is not the fastest program we tested, but it is the simplest and the most secure. 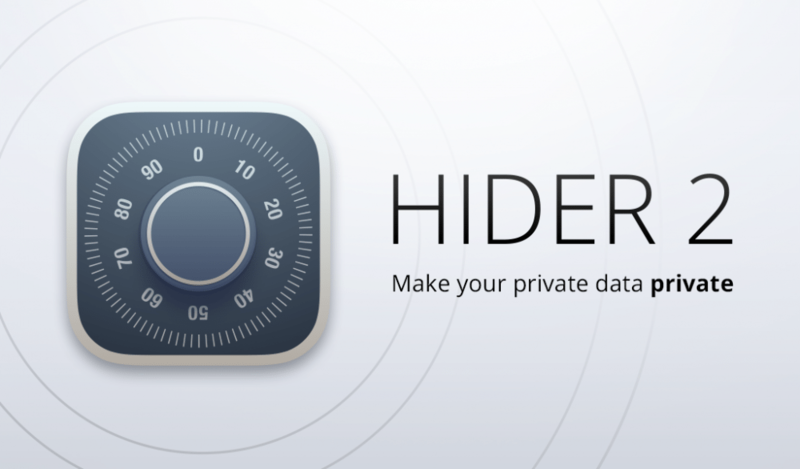 With the most sophisticated encryption algorithm of any competitor, Hider 2 comes out ahead of alternatives like Concealer, Espionage 3 and Data Guardian. Plus, with the ability to encrypt large files, and the ability to tag and search hidden files within the app, Hider 2 has a lot to offer. While slower than some other alternatives, Hider 2 is our current favorite Mac encryption program, thanks to heavy-duty encryption protocols and a simple tag and search system. While not perfect, it’s a perfect solution for even technologically challenged indviduals who want to protect their senstive data and documents. You can get a free trial here.